VIP Eye Care & Optical Boutique is St. Petersburg first and largest. It was Dr. Henri’s answer to the corporate world of cranking patients out and offering a limited style of eyewear. 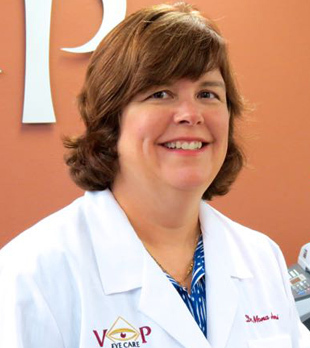 She wanted to offer her loyal patients and customers an extensive line of quality eyewear and spend as much time as she deemed necessary for an eye exam. This boutique was created just for you. The moment you walk in you know we are different. From the fresh flowers, to the candy, to the beautifully decorated interior. This is the place for you. We offer a unique collection that fits our patients and customers appearance, personality and lifestyle needs. Before you purchase your next pair of eyeglasses or sunglasses bring your prescription to us. Vip Eye Care & Optical Boutique is the only Independent Eye Care Practitioner in Pinellas County to be considered an Essilor Experts Luxury Eye Care Professional and has been recognized with this honor for 10 years. Our staff is specially trained to explain the multiple benefits of lenses from Essilor who is the world leader in prescription lens technology. Our opticians will take into consideration the doctors lens recommendations as well as your vision preferences, needs and lifestyle. Based on that information a customized Essilor lens recommendation will be offered to you. You will appreciate the results from this one on one consultation. This is the VIP Optical and Essilor Expert experience you deserve not to mention the education you will receive on the latest lens technology for your vision. Dr. Henri has been practicing in the beautiful city of St. Petersburg for 25 years. Born in Bridgeport Connecticut has lived in Florida for 47 years. She attended USF in Tampa for her Bachelor of Science. She received her doctorate degree in Optometry from the Southern College of Optometry May 1991. She started out in the corporate world of optometry but in 2007 decided to start her own practice in order to provide compassionate healthcare to her patients without having to compromise her exam to meet corporate goals. She is a member of the American Optometric Association and the Pinellas County Optometric association. Dr. Henri practices full scope optometry and built her practice on referrals. Her goal is to provide compassionate healthcare for her patients. Dr. Henri’s enjoyments out of work are traveling and reading. Dr. Kaitlyn Rothberg has been a Florida Board Certified physician since 2013. She received her Bachelor of Science degree from Texas A&M and her Doctorate of Optometry from the University of Houston. She specializes in Ocular Pathology and has participated in contact lens studies. 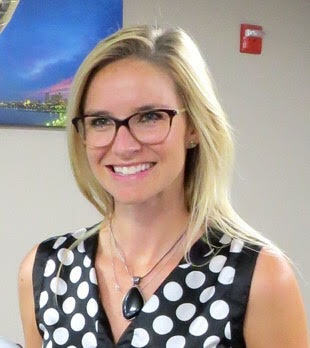 She is also a JumpStart Ambassador for young optometrist in the Tampa Bay community. Dr. Rothberg is a member of the American Optometric Association and the Pinellas Optometric Association. She enjoys traveling and lounging at the beach. Jodi, our optical manager and licensed optician has a great instinct for picking out the right shape, size and fit for your face. Jodi has over 25 valuable years of experience in fitting customers in eyewear. She has been with Dr. Henri for 7 years. Shawn, our assistant optical manager is in apprenticeship. Shawn has the ability not only to fit and adjust but also repair damaged frames. Melody, Devenn James, Sue and Kim run the front desk, do preliminary tests and makes sure your visit runs smoothly. Lindsay, our latest addition to the optician staff is also studying to become a licensed optician. We are all very opinionated in how well you look in your choices so it’s not unusual to get multiple opinions on your choices of eyewear! All of our staff including Dr. Henri, are happy to assist you in making you see the best you possibly can, offer you multiple choices that fit your specific needs, appearance and lifestyle. You will not be disappointed with the largest selection in St. Petersburg with over 31 iconic designers from all over the world. Our boutique has over 1000 frames on display and we are constantly updating our selection so our inventory has the latest in fashion eyewear. We carry all different price points so we are sure you will have a enjoyable time looking through our selection. There were some problems but they corrected it with no problem. I was very impressed with their professionalism.